MudHoney blows me away with this newly released Winter Livingroom set. 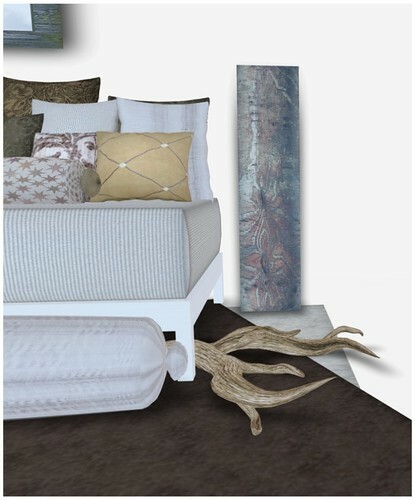 This set is so calming on the eyes, the colors warm and inviting. 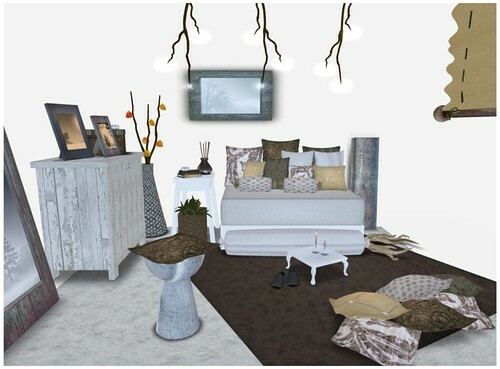 The Winter Livingroom set includes everything you see in the picture above (all the furniture, accessories & light fixtures). I’ve always really liked that MudHoney items are sold as 1 softlinked item you can drag from your Inventory -> to your home (or you can unbox the package if you prefer to arrange yourself). 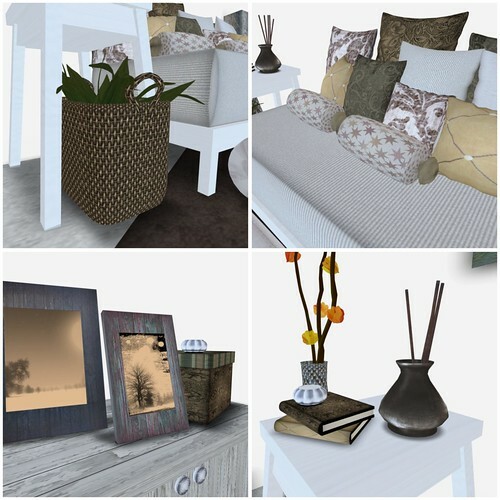 I love furniture but I really don’t like having to place them sometimes, especially if they have a lot of accessories that needs to be placed just right. Scale is important. I like furniture that feels a bit ‘over-sized’ because it works better when you want to rez your own pose cushions. I like the scale of the sofas & chairs, they’re just right for my preference. All MudHoney items are Modifiable though, so you can easily re-size or re-texture anything to your liking. oh my gosh, where is that hair from?